Note that a workaround for the first error is implemented ONLY for InstallShield 3. * and 5.*. In other words, if you see this error it doesn't mean that this program will 100% help you. You have to make sure that this error is returned by InstallShield 3. * or 5. * version (see at file Properties of problem EXE). Any feedback is very appreciated! Last edited by AxXxB on 2015-6-05 @ 13:34, edited 4 times in total. I register only to post that this is a great job, but unfortunaly does not work with some old installshield setups. When tried it says: "Unable to open temporary file"
That is a very old InstallShield installer. It is a purely 16-bit installer that predates the IS cab file era. Even though it is packed in a 32-bit self extracting web distribution package, the packed installation package was very clearly intended for physical floppy distribution. I did not try to unpack the program files, but I would not be surprised if the program itself was 16-bit, too. Is there any chance of supporting Installshield SDK edition? The version number given by the files in the one example of this I've tried is 2.20.913.0. Replacing the original setup files with the ones from the wrapper for Installshield 3 seems to work, as long as I make a small hex edit to the setup.ins file (changing byte 04 from 1C to 16). ogry wrote: I register only to post that this is a great job, but unfortunaly does not work with some old installshield setups. Yep, that's a bug in Wrapper. I fixed it in my local testing version, but it seems that Wrapper can't launch the IS 3 Engine if files to install are packed into archive that is divided on several parts (_SETUP.1, _SETUP.2 etc) for placing on several disks. When it's time to change disk, IS Engine says "General file transfer error. Please check your target location and try again. Error Number:-32" and exits. Maybe I should write some command line switch for supporting disks, I can't figure that out. Oh, yes, your QuartzAudioMaster has that divided archive, so Wrapper can't install it. When I'll fix that, I'll post here and will update the program. 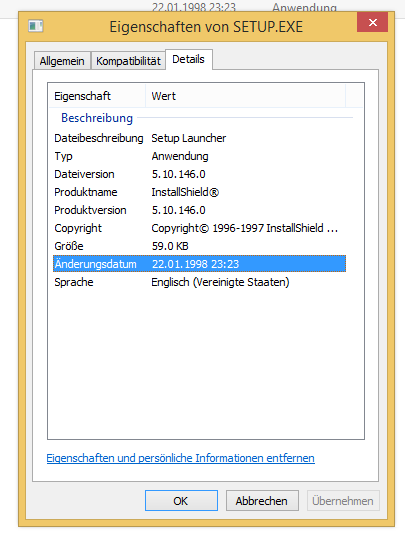 Silanda wrote: Is there any chance of supporting Installshield SDK edition? Well, I see you have more knowledge about IS than me, I know nothing about IS SDK and INS file format So if you can instruct me what steps the program should do, I'll implement them. Version 2.2 is released. Fixed some bugs and added support for old InstallShield 3 setups reported by ogry - this is done by realization of some Win16 API functions and NXVM (https://github.com/cshaxu/nxvm). Links to new version are in the first post. Last edited by AxXxB on 2015-6-05 @ 13:33, edited 1 time in total. AxXxB wrote: Version 3.2 is released. Fixed some bugs and added support for old InstallShield 3 setups reported by ogry - this is done by realization of some Win16 API functions and NXVM (https://github.com/cshaxu/nxvm). hi, i'm trying to install Carmageddon 3 - TDR 2000 from the US retail CD. IS Wrapper can't fix any error of IS except of versions 3 and 5. I just checked the registry entries referenced in that MSDN link, and it seems that XP x64 also has this feature. The directories are a little different from Windows 7 however. I've attached it, if you'd like to take a look. Unfortunately, it completly messed up InstallShield on my computer. If the InstallShield Wrapper is installed, it's not possible to install games anymore which are based on a x86 version of InstallShield 5. All setups cancel with an error message that Windows couldn't access the file. Then I uninstalled the InstallShield Wrapper via Programs and Features. However, I'm still unable to install games with the x86 version of InstallShield. 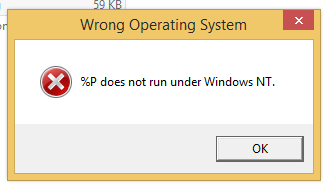 It always appears an error message which says that "%P doesn't support Windows NT" instead of the old message. And, yes, all these installers worked fine before I installed your wrapper. So how can I uninstall the Wrapper completly and restore the Windows defaults? Mr.Blade, this is very strange. The program should not interfere with 32-bit installers. Could you please give me link to any game that uses x86 version of InstallShield 5? Mr.Blade wrote: Unfortunately, it completly messed up InstallShield on my computer. I use this wrapper for nGlide test pack. Most games in this pack use IS5 32-bit. Some games use IS3 and IS5 16-bit. There are some troubles (can't start 16-bit setup.exe from another program, like autoruns etc) but the wrapper don't break anything. Yes, this issue is indeed very strange. ... which essentially means that Windows can not access the file due to limited access. And before I just installed InstallShield Wrapper for the fist time, the installer worked fine so far. It still does on my notebook where I also use Windows 8.1 (x64) as operating system.